I hope you're having a great week so far. My week.. I'd rather not talk about. It's been long, frustrating, upsetting and mostly bad. But anyways, I'm glad to be here with a new tutorial! 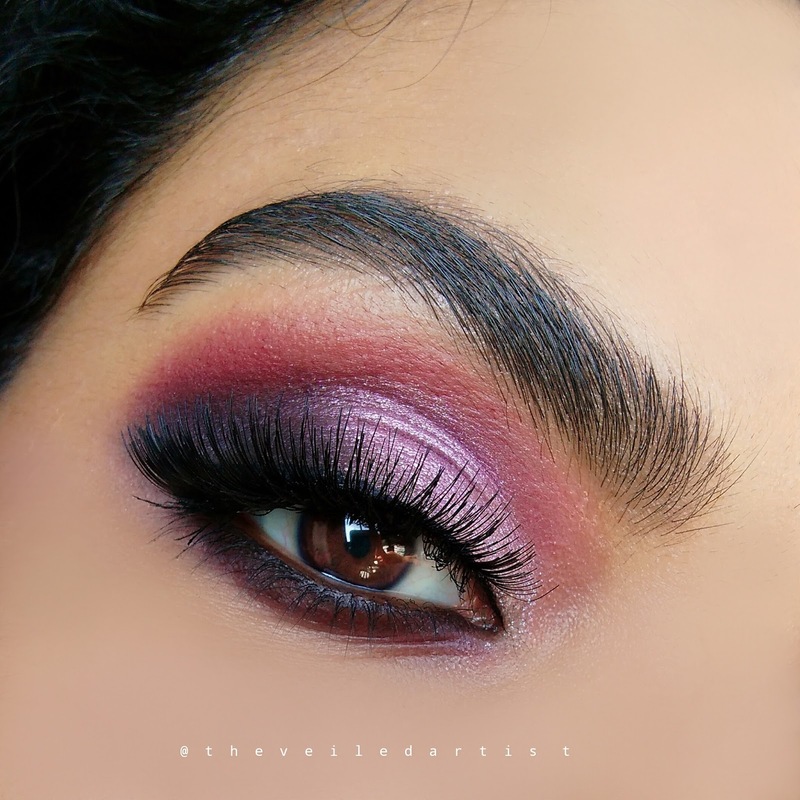 Today's look is inspired by dramatic, bold, Indian bridal makeup looks paired with gorgeous lashes and smoked out lashlines! So let's get started! Prime your eyelids. This is so important for this look because there will be lots of blending involved and so we need a smooth, even toned surface to make that process easy for us! 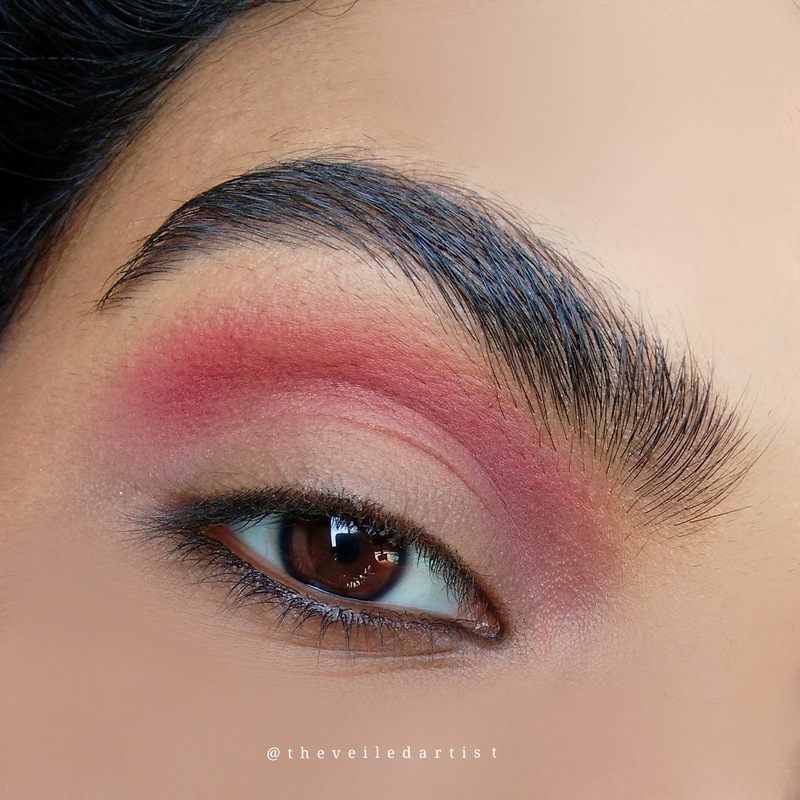 Blend the matte pink or a warm brown eyeshadow into your crease and a little above it. This will serve as our transition shade. 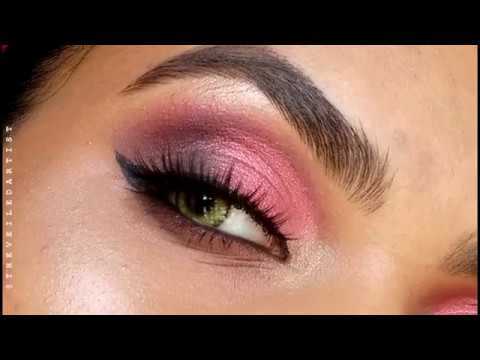 Pat the shimmery pink eyeshadow onto the outer 2/3rds of your eyelids and blend out the edges. 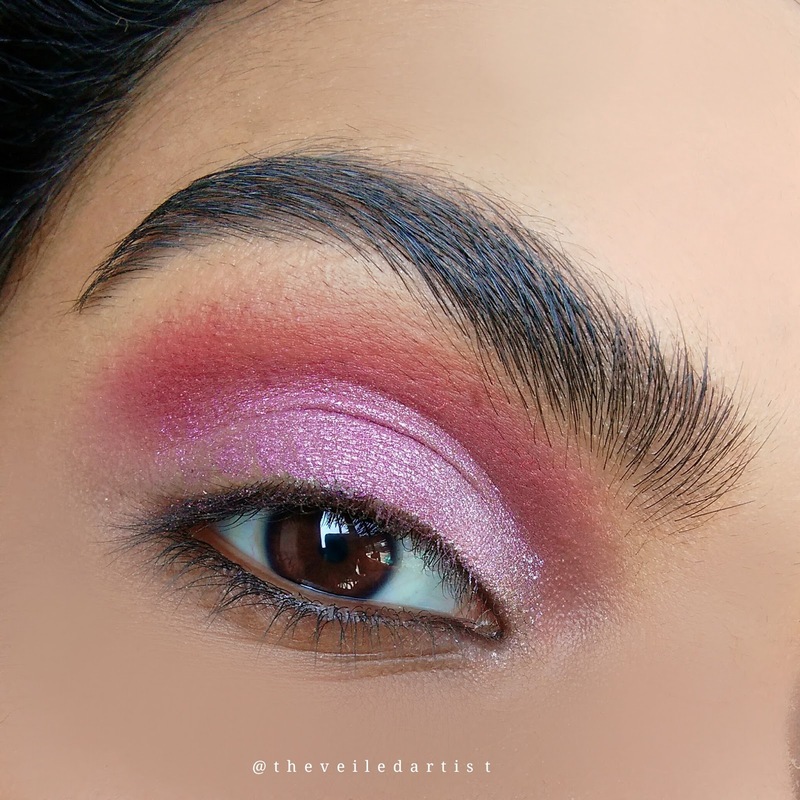 Pat the shimmery white eyeshadow on the inner 1/3rds of your mobile eyelids and blend it into the shimmery pink we previously applied and also into the matte pink in the crease. 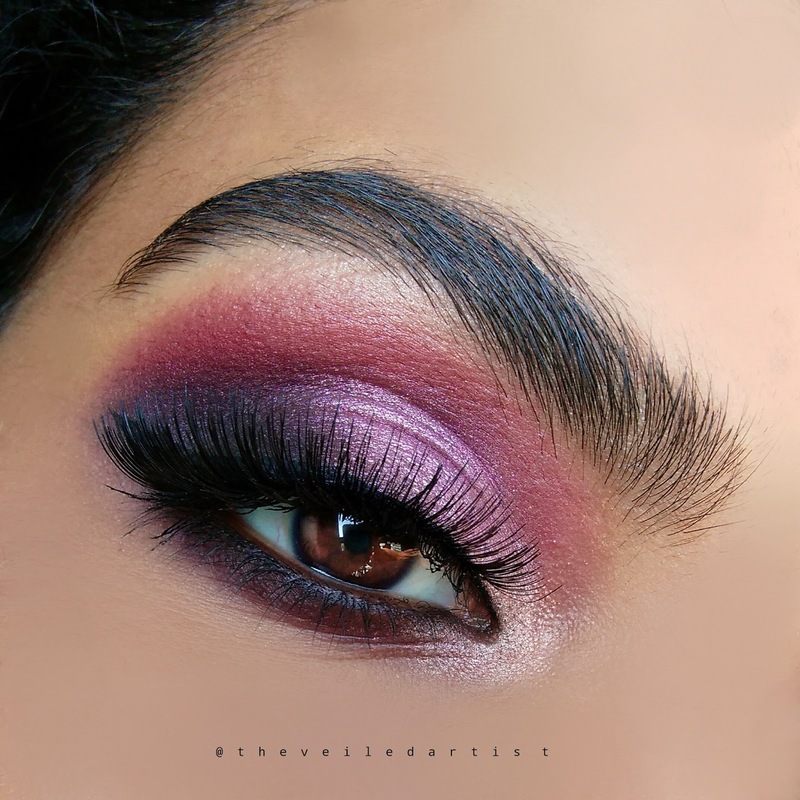 Using a dense pencil brush or any brush you're comfortable using, carefully place the matte black eyeshadow on the outer third of your eyelids in a slight v shape as shown below and blend this out and into the shimmery pink. Make sure to use small amounts of the black eyeshadow each time and build up the intensity. 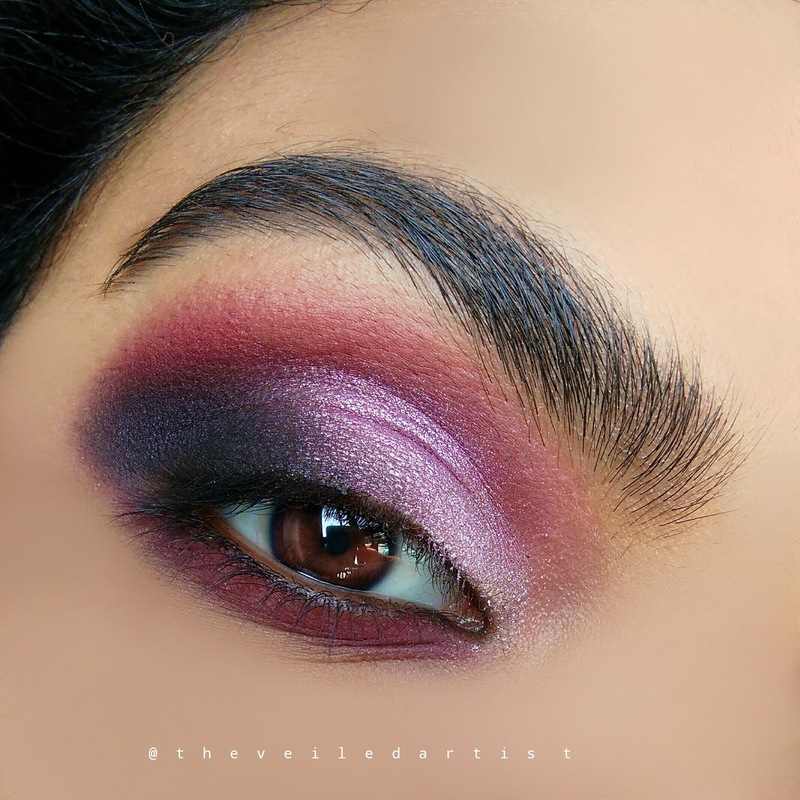 Don't go in with a lot of black shadow right away as it can get quite hard to blend. 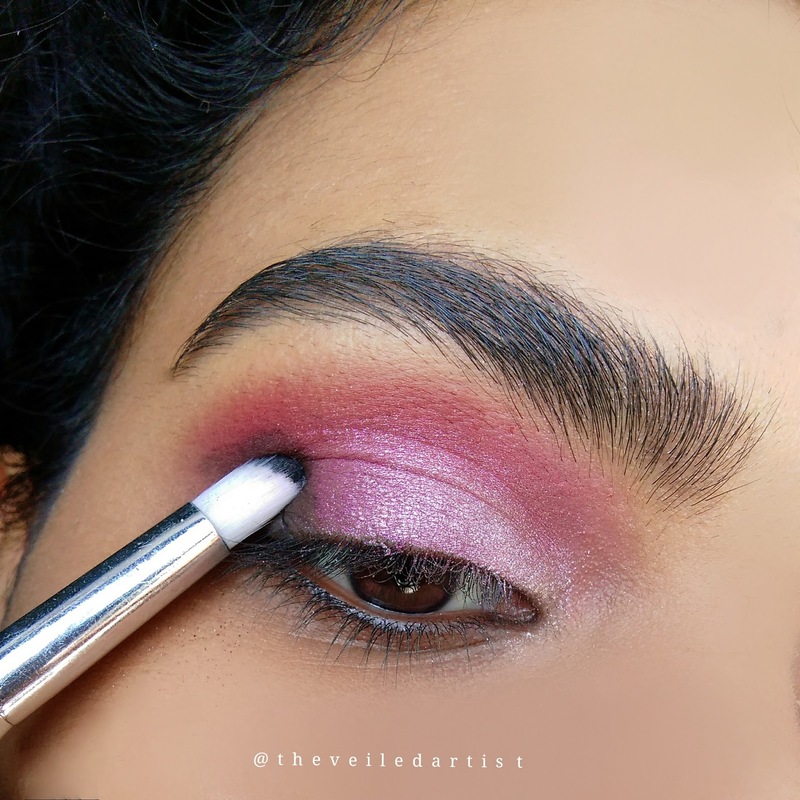 Blend the same matte pink eyeshadow we used in the crease, all along your lower lashline. 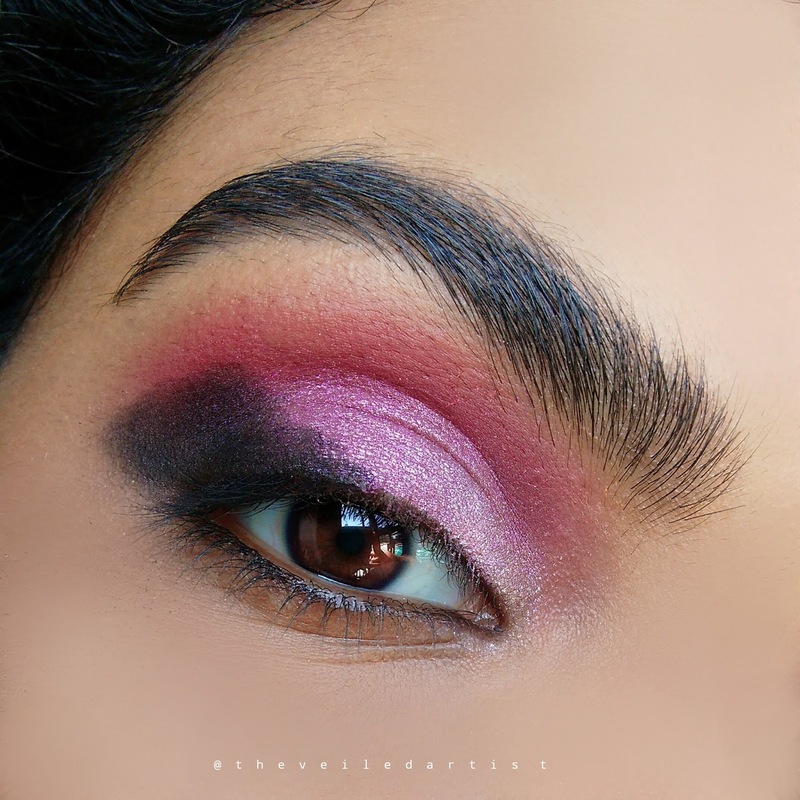 Next, blend the matte black eyeshadow above the pink we previously applied but make sure to keep it closer to the lashes and not drag it too low. 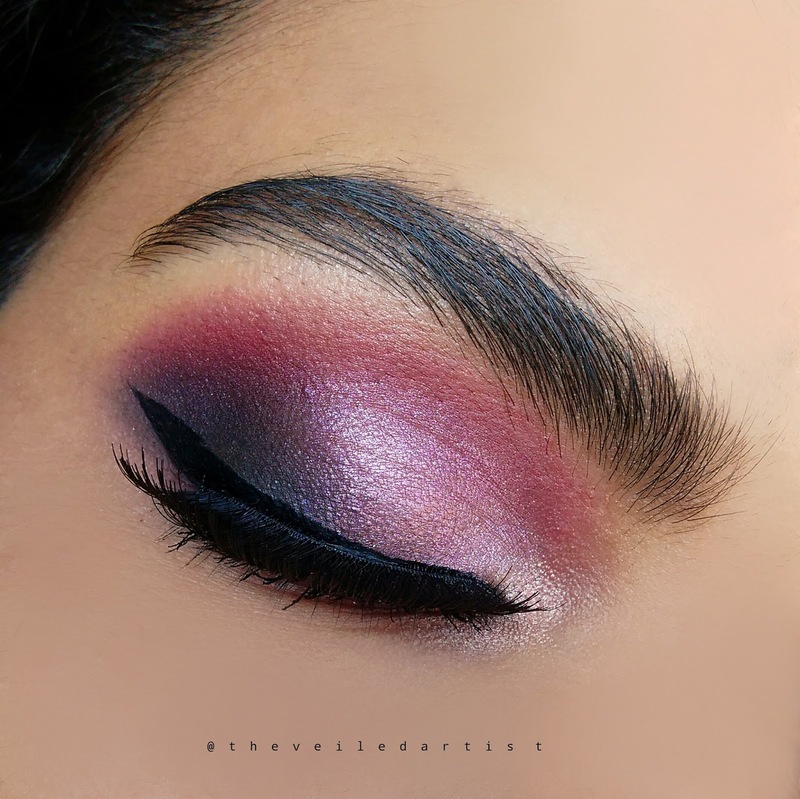 Then, connect this black shadow on your lower lashline with the black shadow on the eyelid on outer corners of your eyes. 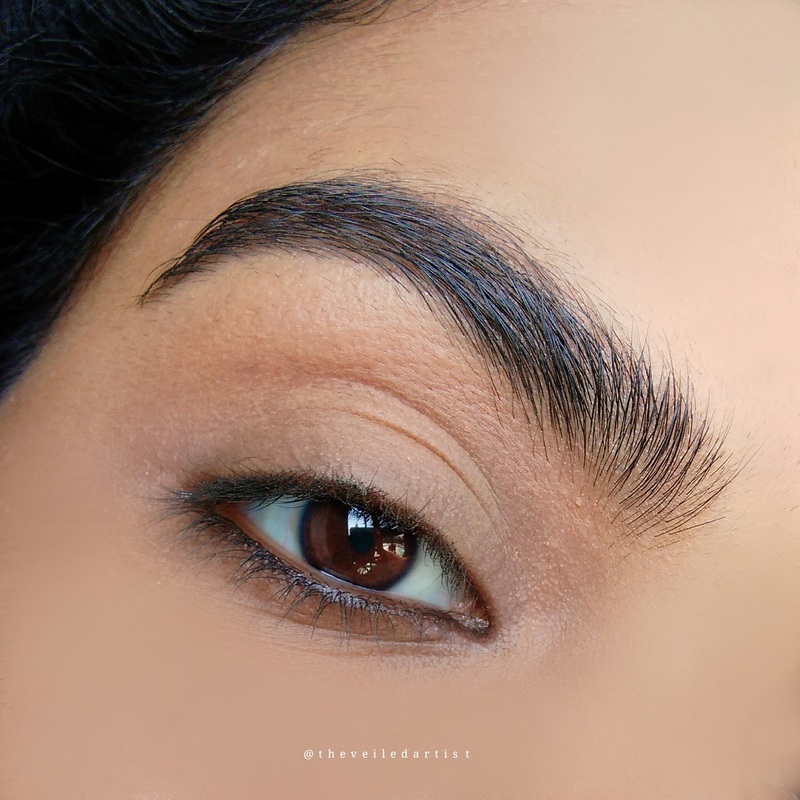 After this step, you can also line your lower waterline with a black eyeliner pencil/kohl as this is very common for Indian brides or just classic Indian makeup in general. Do your winged liner following the angle of your lower lashline. Then curl your lashes and apply mascara. Finish with a beautiful, full pair of falsies! 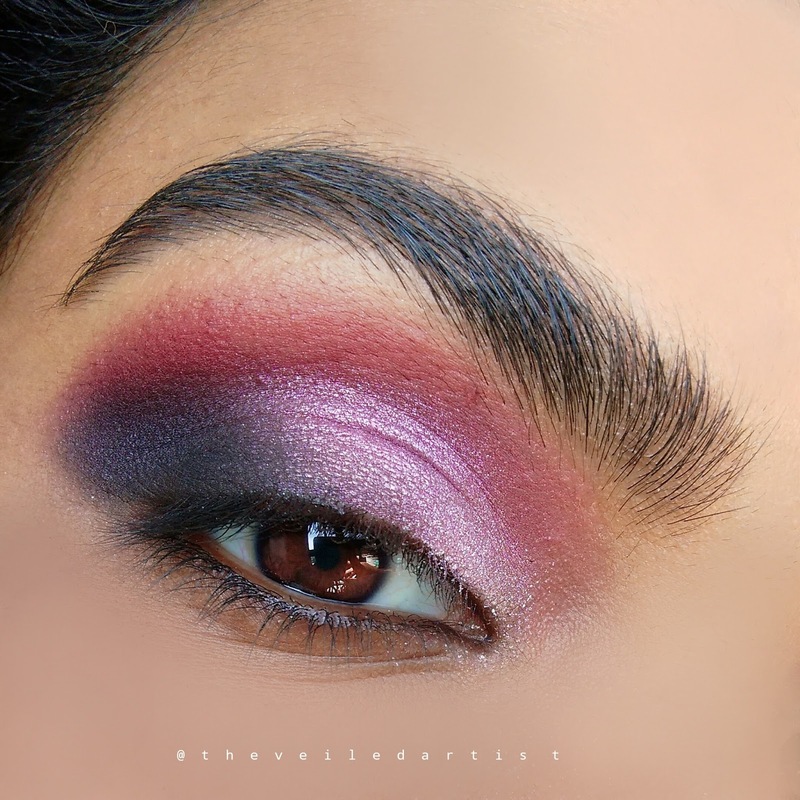 After the look was done, I decided to highlight the inner corners of my eyes with the same white shadow! And we're done! 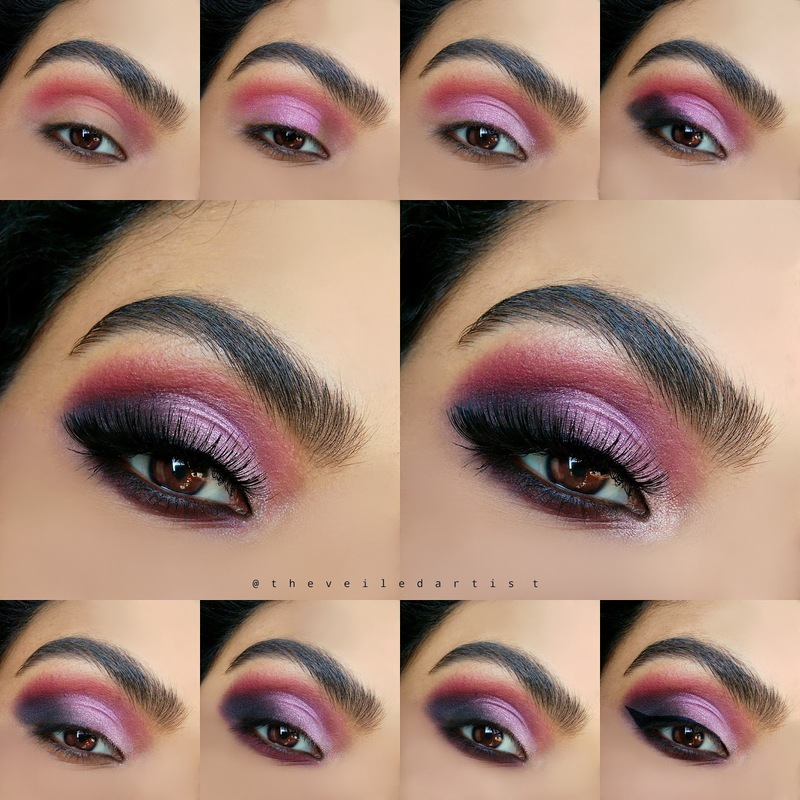 Scroll down for the full pictorial, products used list and to see how gorgeous this looks when the eyes are closed! Thank you so much for reading my loves and I really hope you enjoyed this look! You can check my last post here. 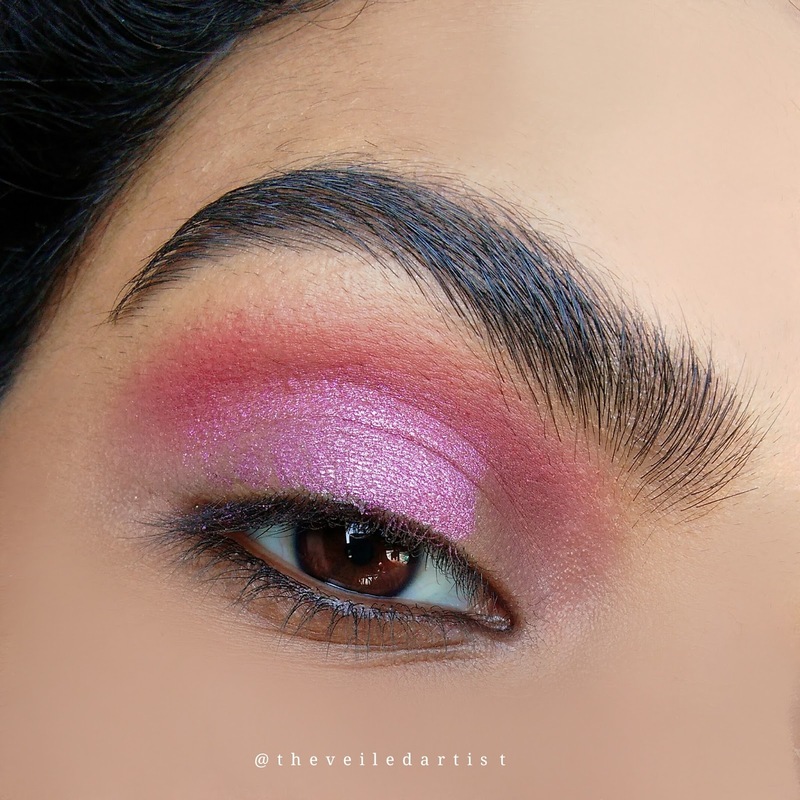 It was a review on the super popular loreal infallible eyeshadow and my last tutorial here. 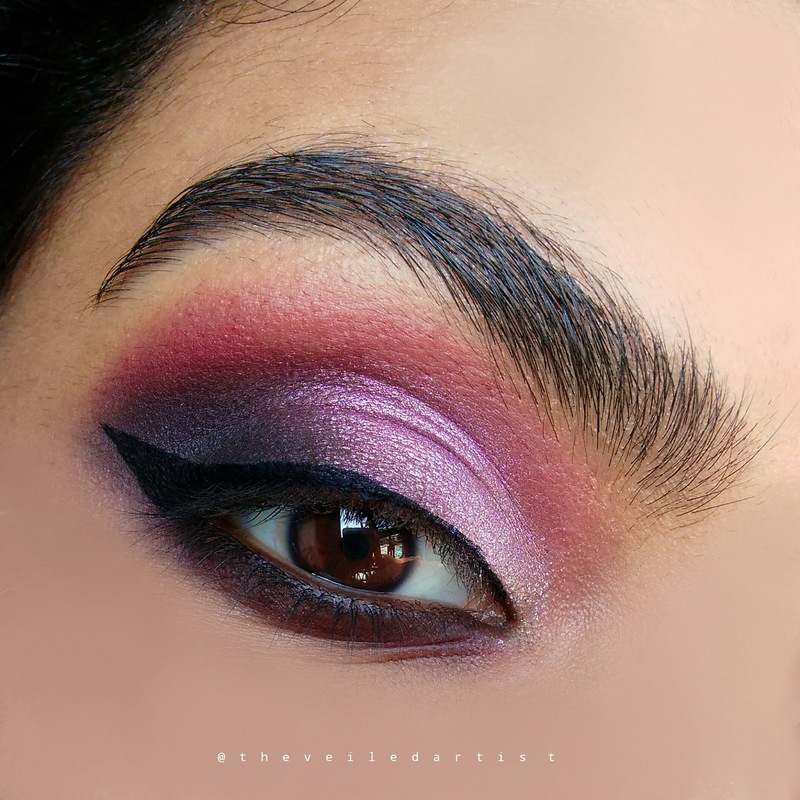 An Easy 7 Step Statement Makeup Look with Sparkly Liner!